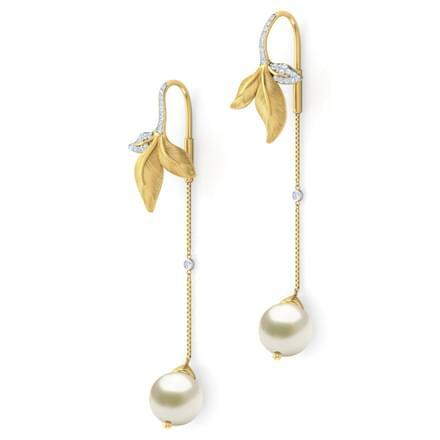 Earrings are the most essential forms of jewellery worn by women across the globe. 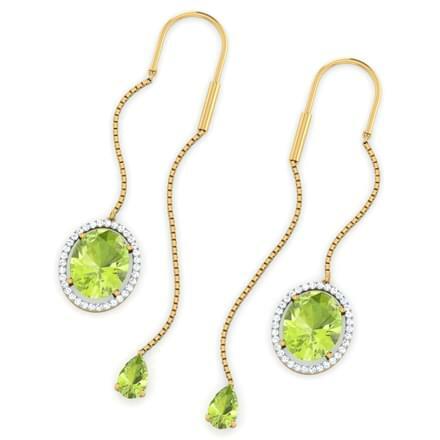 A smart pair of Earrings alone can alter a simple look to a stunning one. 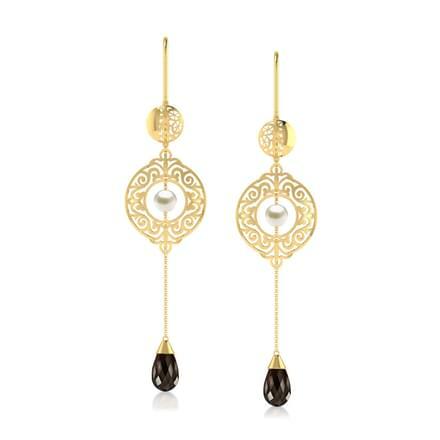 Sui Dhaga Earrings are an ethnic style of Earrings for women, which can be paired with all traditional attires. 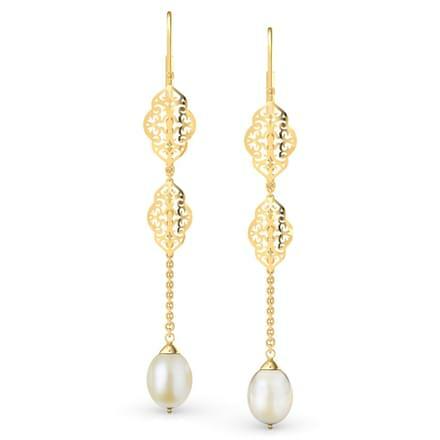 Classic patterns of Earrings can be quite similar at times and a different design is welcomed by all women, such as the Sui Dhaga Earrings. 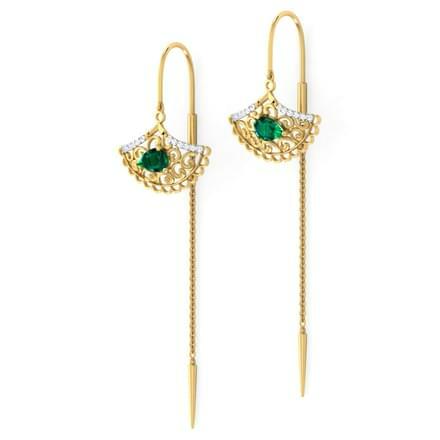 CaratLane has put together a smart collection of Sui Dhaga Earrings for women, which is available online. 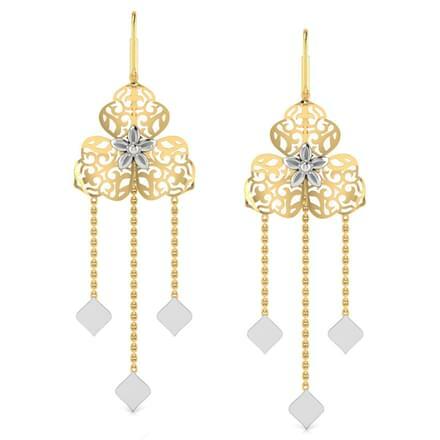 A mix of traditional and contemporary designs, the Sui Dhaga earrings top almost every woman's the list of ornaments. 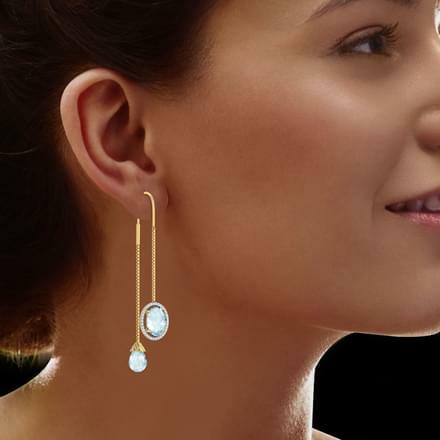 CaratLane has created this stunning collection with a variety of designs to choose from. 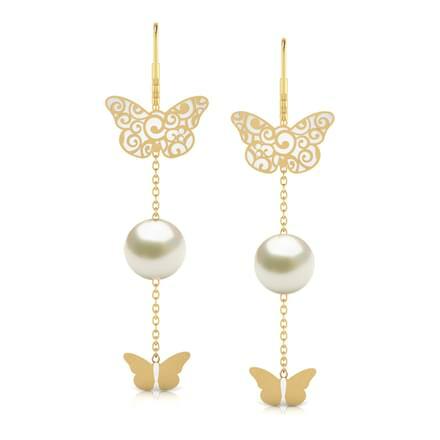 The price range of these earrings is placed between Rs. 10,000 to Rs. 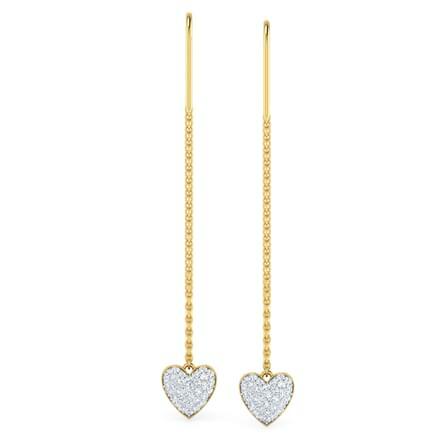 40,000 and they are set in yellow gold, white gold and rose gold. 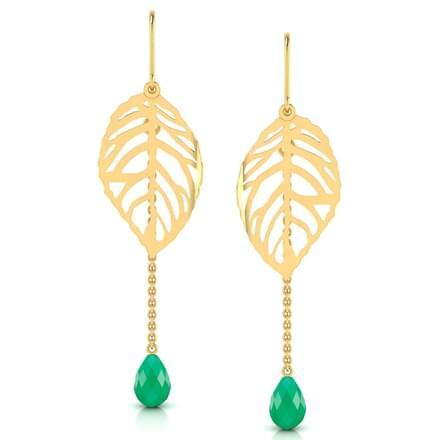 You can explore the interesting collection of earrings arranged online for shopping by CaratLane. 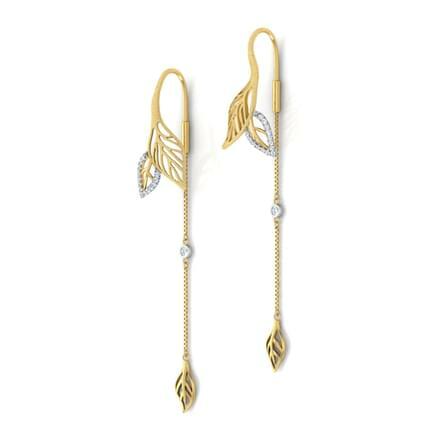 Earrings with fine and intricate cutwork in the Sui Dhaga style of earrings make for delicate pair of earrings for women. Check out from some of the designs by CaratLane! 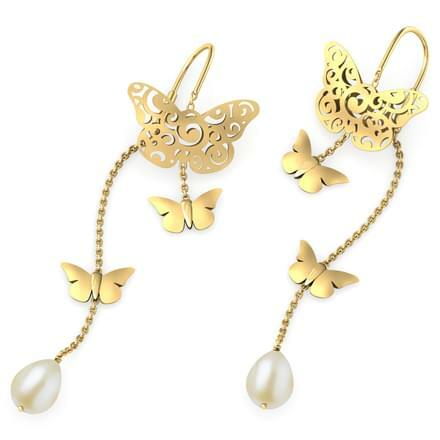 The Halen Cutout Sui Dhaga and the Jasmine Cutout Sui Dhaga from the Gold Lace collection are pretty earrings adorned with fine cut-outs of a butterfly. 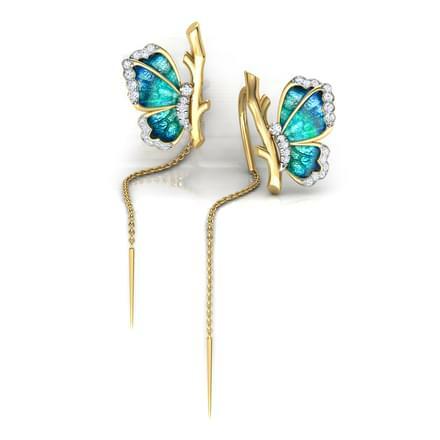 The fascinating floral cutouts make the Rita Sisyrin Sui Dhaga from the Radiance collection a striking pair of Sui Dhaga earrings for women. 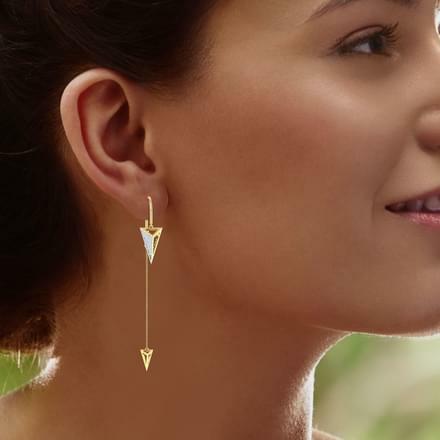 Contemporary styling of the Sui Dhaga earrings has many takers, as they can be paired with western as well as fusion wear other than traditional dresses by women. 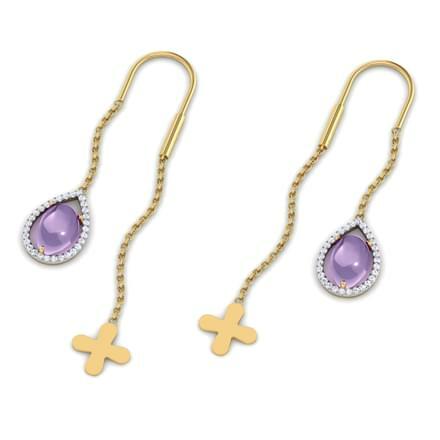 The Hera Square Sui Dhaaga and the Rina Crescent Sui Dhaaga, both set in 18K Yellow Gold with diamonds are a perfect example of modern designs of earrings for women. 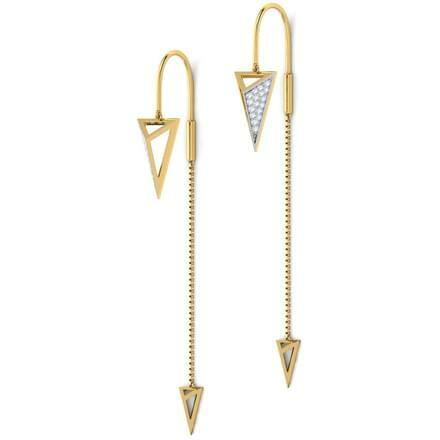 the Gisa Triangular Sui Dhaaga is another very outstanding pair of earrings by CaratLane. 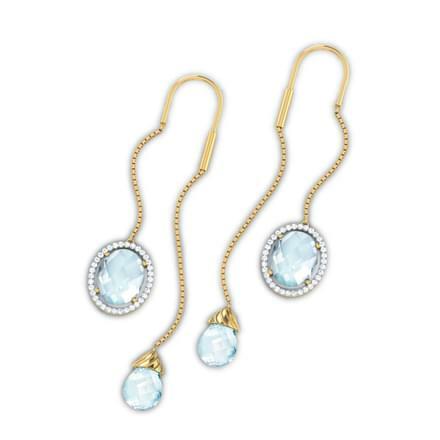 Gemstone studded Sui Dhaga earrings are a sight to look at. 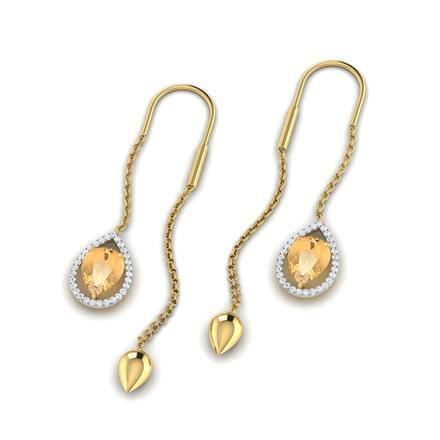 CaratLane's Stitched collection has some amazing patterns including the Flavia Droplet Sui Dhaga with Citrine and the Sini Halo Sui Dhaga with Topaz. 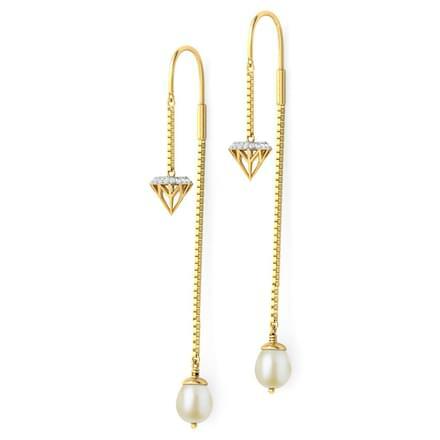 Diamond studded Sui Dhaga earrings are a truly pretty sight to look at and CaratLane has some real stunners. 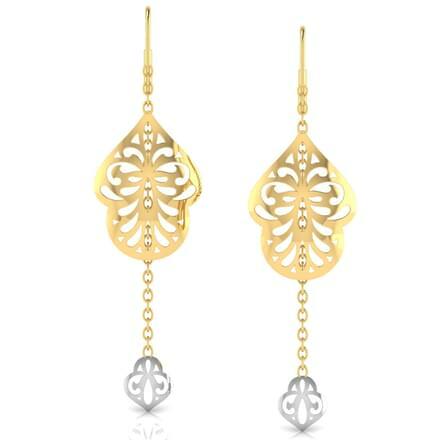 The Alifa Swirl Sui Dhaaga by CaratLane is a perfect traditional pattern set in the Sui Dhaga pattern of earrings for women. 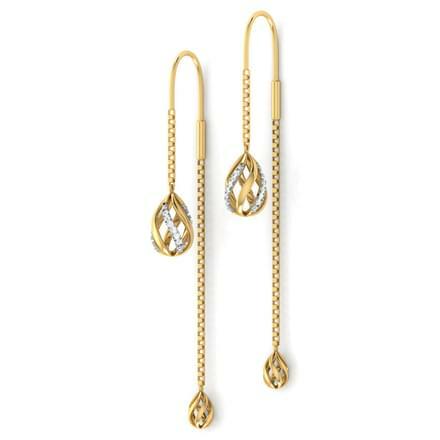 Floral patterns with diamonds in earrings for women is a classic style most-loved by all. 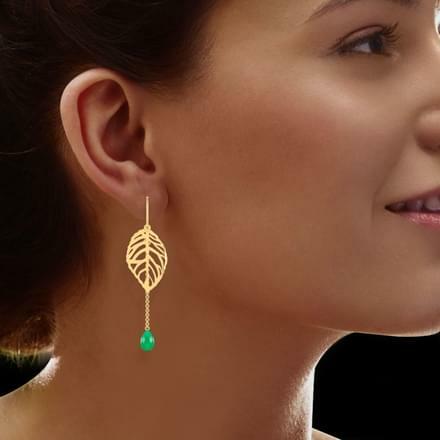 CaratLane offers some magnificent designs such as the Julia Leaf Sui Dhaaga and the Pansy Flower Sui Dhaaga. 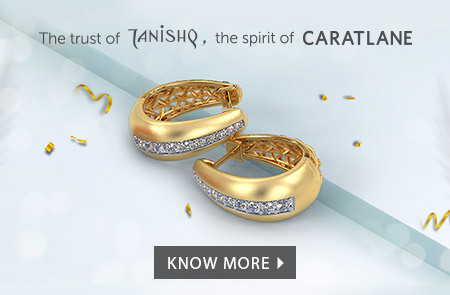 CaratLane serves its customers through great service and quality products and designs in its ornaments. 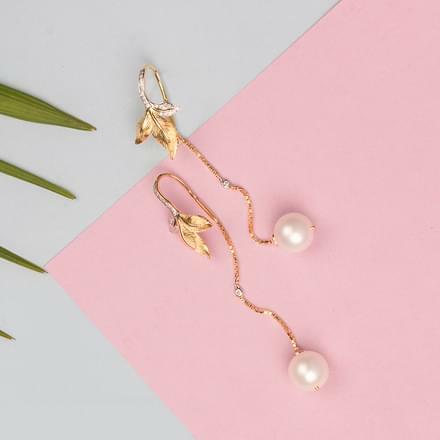 This online jewellery portal offers an easy online shopping experience through multiple payment modes such as net banking, credit/debit cards and online transfers. 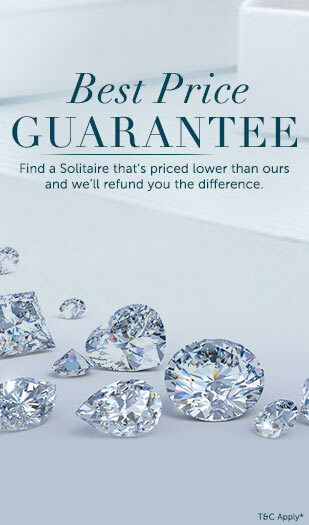 It allows customers to exchange or return the products as well. 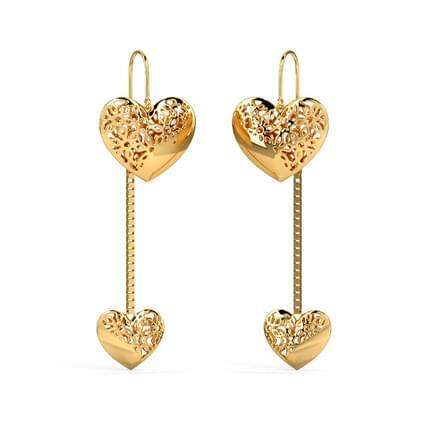 They also get to use the Try@Home option to try the jewellery at home before purchasing them.